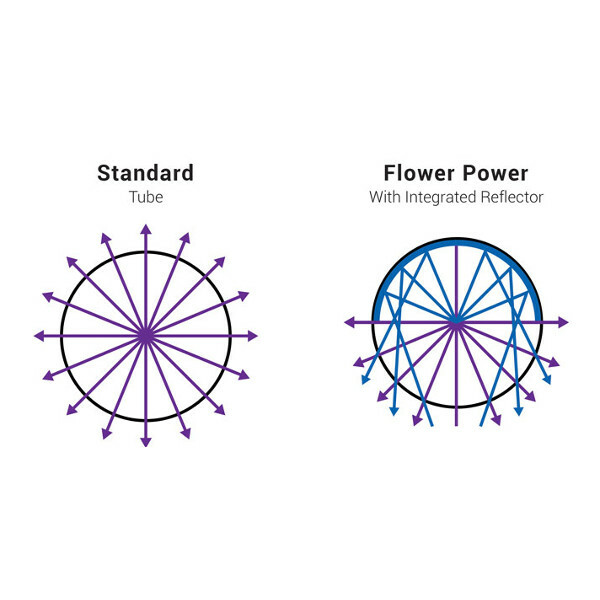 Flower Power UVR8 lamps from Solacure are a supplementary light source with an entirely unique spectrum, that when added to the growing environment provide a list of responses that are very beneficial to the indoor grower. Increase production of unique plant compounds from between 20% – 35%, with many growers reporting increases of 35%+. 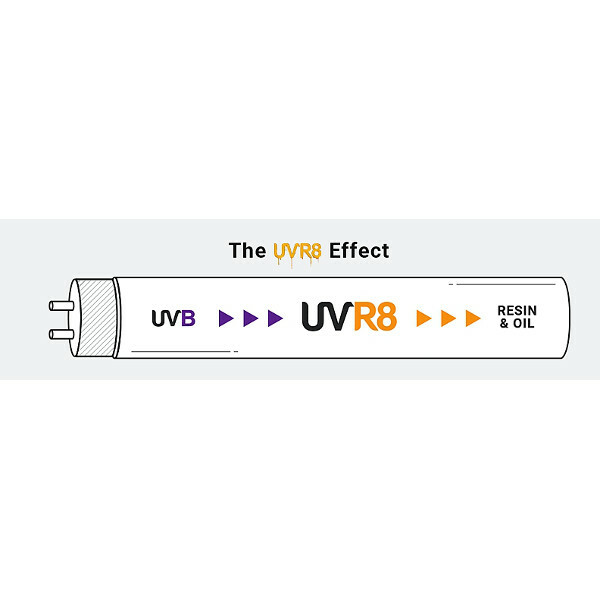 Patented technology makes this possible through the stimulation of the UVR8 protein, which is triggered by UVB radiation at 288nm. This, in turn, stimulates plants to produce more compounds to protect itself from the increased UVB. Kill or suppress Powdery Mildew(PM). 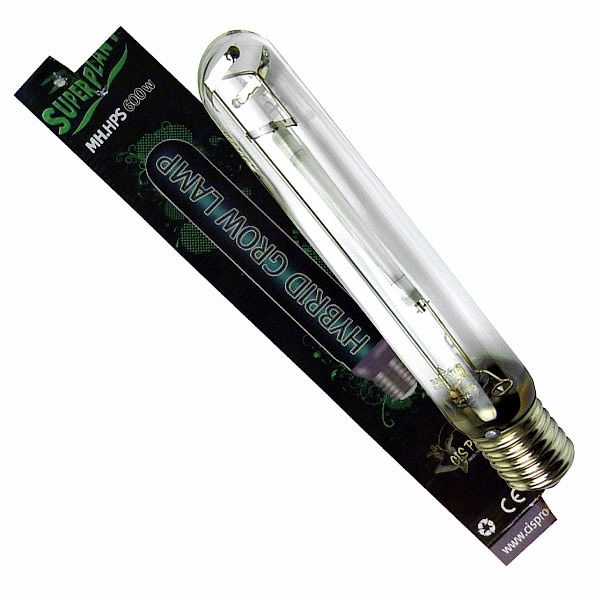 These lamps are proven to help eliminate PM and other moulds which cannot live in a high UV environment. They are not a substitute for good sanitation, but provide extra insurance that PM won’t sneak up on you. Kill or suppress insects. The 66% UVA portion of these lamps is modeled after the sun, but is more intense. In a growroom, where there is nowhere to hide, insect populations will drastically reduce before they multiply. More compact, denser flowers and less ‘legginess’ during flowering. High UVB exposure reduces how much taller plants get during flowering, as the plant converts energy from growing taller stems into producing more unique plant compounds. 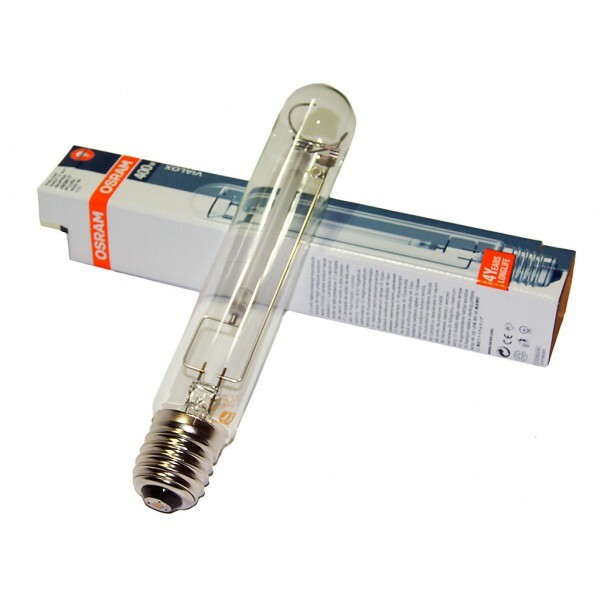 Built in reflectors – Solacure lamps are R-UV lamps. The ‘R’ stands for ‘Reflector’ because the lamps have reflectors built inside the tube. 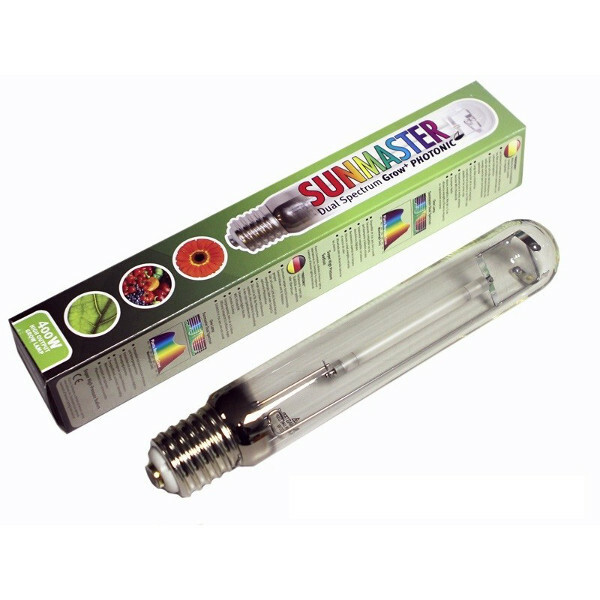 R-UV lamps increase the total UV output of the lamp and mean you don’t need your own reflectors. Solacure UVR8 lamps use a type of glass designed specifically for transparency across the entire UVB spectrum unlike most glass used by light manufacturers. 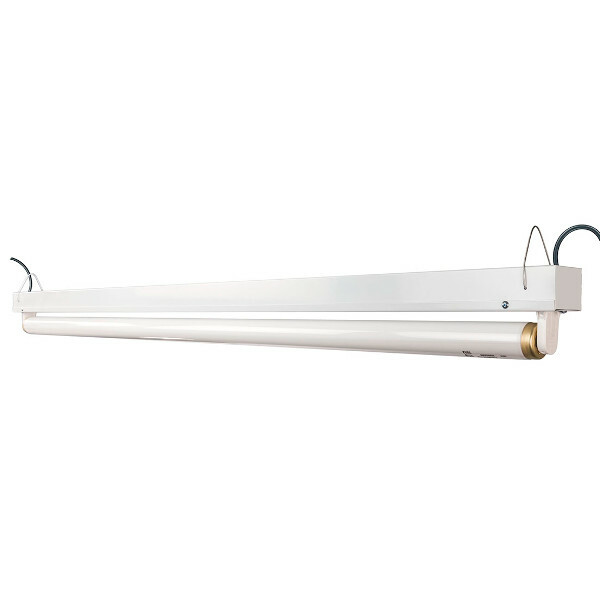 This patented glass technology, combined with Solacure’s unique blend of phosphors and high output, is what makes these lamps the most effective producers of UVA and UVB light and the only lamps capable of triggering the full UVR8 effect. UVR8 is a protein which is produced by some types of plants in defence against UVB light. It is stimulated by UVB light at 288nm. 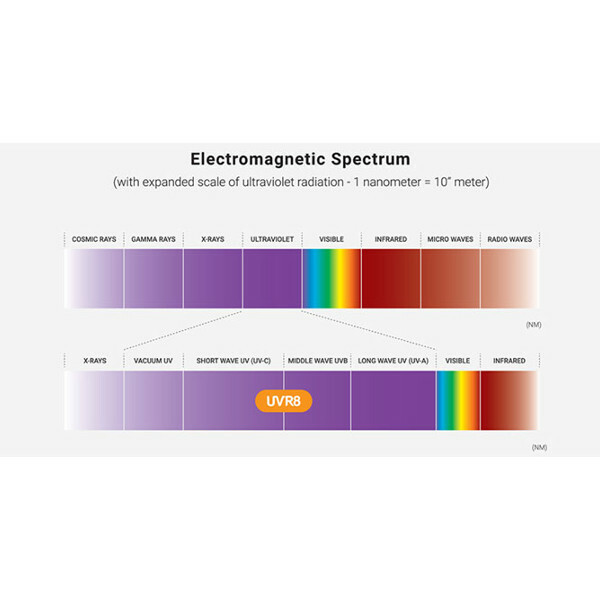 UVB light (within the range of 280-320nm), is normally received from the sun. When a plant detects UVB at 288nm, it produces the UVR8 protein. This protein acts as a chemical messenger which in turn, signals to the plant to secrete more oils and resins to help protect itself from the UVB rays. 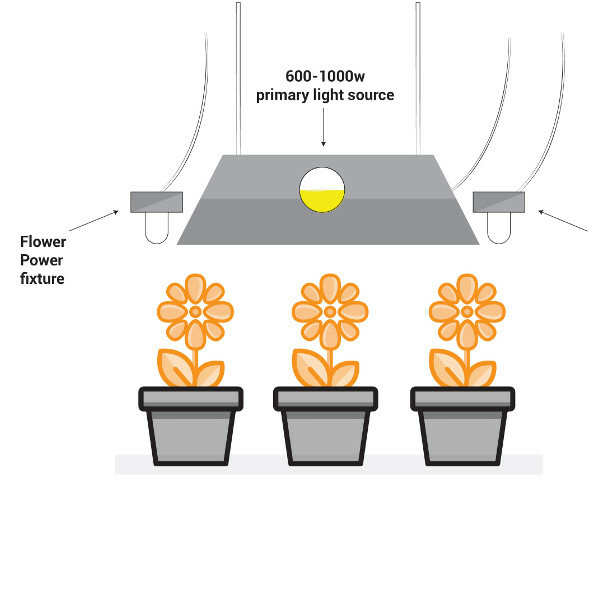 By adding supplementary UVB light into an indoor growing environment, growers can artificially stimulate this response and benefit significantly. Triggering UVR8 protein during the flowering season will make plants shift resources from growth to protection. This means they will grow less tall and instead produce significantly more oils and resins.